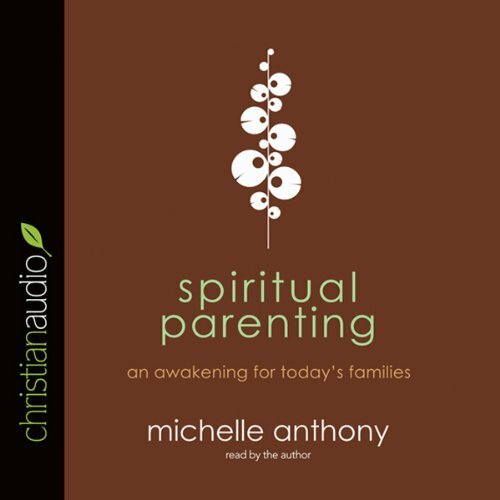 Showing results by narrator "Michelle Anthony"
In Spiritual Parenting parents learn to create a home environment that God can use to work in their children's lives. It's a biblical, innovative fresh approach to parenting--and one that's long overdue. It's hard enough to train kids to behave, but good behavior isn't what Jesus calls for in the Bible. He wants hearts and souls that are shaped in vibrant faith and love toward God and others. How can parents cultivate this in their children? In this book Dr. Michelle Anthony shares practical examples and biblical insight on the spiritual role of parenting. Great Book for any Family!